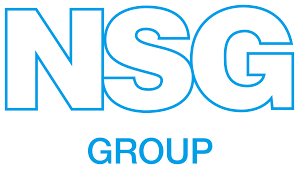 NSG Group (NSG) announces the decision to sell its entire shareholdings in Nippon Sheet Glass Environment Amenity, a wholly-owned subsidiary, to Hibino Corporation (Hibino). NSG Group is one of the world’s largest manufacturers of glass and glazing products for the architectural, automotive industry and technical glass sectors announces the decision to sell its entire shareholdings in Nippon Sheet Glass Environment Amenity, a wholly-owned subsidiary, to Hibino Corporation (Hibino). Although NEA has been stably contributing to NSG, it was concluded that NEA’s further development can be achieved better through synergy with a third party. The sale is scheduled for 1 April 2019 at the price of JPY 1.95 billion. This transaction has no material financial impact on NSG’s consolidated financial results for the fiscal years ending in March 2019 and March 2020, respectively.